There are many bitcoin apps on the internet and they all service a different purpose. But what are the best bitcoin apps you can use? On this article I’ll share with you some of the great bitcoin apps you can use. You can get most of the bitcoin apps on Google Play and the Apple Store. Most bitcoin apps can be used on smartphones and they run Android or iOS. You can also find ones that run on a Desktop operating systems like Windows or Linux. CoinTracking gives you a complete over view of the whole cryptocurrencies in the market. This app is designed to analyse your trades and generate real time reports. The CoinTracking app is also built for both beginners and advanced traders. You can start with a demo to see if you will like the app. With it’s features CoinTracking is regarded as one of the best bitcoin apps in the industry of trading. Robinhood is known as a commission free trading app that allows investors to buy stocks, options and cryptocurrencies. You can use this app to trade in and out of the market. This app offers zero fee trading model and is popular among retail traders. Earn is not your normal bitcoin app, is app that lets you earn bitcoin for answering emails. The company has a long history of creating bitcoin mining hardware, then as 21 Inc. They then rebrand-ed to Earn.com in 2017. You can earn bitcoin in few ways, either by receiving paid messages, completing micro tasks, and more. The App can be downloaded on Android and iOS devices. A great bitcoin trading app. TabTrader is mobile trading platform that can be connected to a bitcoin exchange API to execute trades. This app can be great replacement of cryptocurrency exchanges that do not have a trading app. TabTrader can help your track coins prices, news, and graphs. This app is available for all the mobile devices and can run on iOS and Android. If you want to keep up with the cryptocurrency world, this app will provide you with just that. The Blockfolio app helps track all your market portfolio one dashboard. You can download it free on your smartphone, through the App Store or Google Play. Blockfolio is one of the best bitcoin apps and it runs on Android and iOS. If you need a cryptocurrency trading app that will help you view market trends, charts and latest news then this is the app. Lawnmower has a clean interface with easy to use features. If you need a bitcoin exchange with a well designed app, then BitPay is the exchange you should be after. BitPay lets you make bitcoin payment to merchants in an instant. You can download the on any device, ether mobile or desktop. The BitPay app works in most operating systems including iOS and Android. Coinigy is a all in one cryptocurrency trading app that can be used on the desktop or mobile devices. It enables you to trade in over 45+ bitcoin exchanges in the world. You can start with a 30 day free trial to test the app, you will then be required to premium for you to use it. Some of the features of Coinigy include getting real-time API and 100% up time. With Bitcoin Checker you can track bitcoin price in many bitcoin exchanges, that is 70+ bitcoin exchanges. Trade most of the altcoins in one simple designed screen and compare cryptocurrency prices all over the world. The only setback is that the app can only found by Android users. 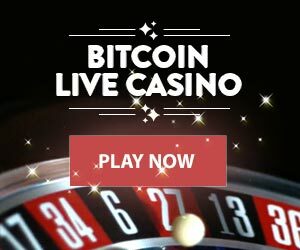 Instead of buying bitcoin you can earn bitcoin by playing games online. Bitcoin Fighter is an app that allows you to play bitcoin games while earning them. The game has the old school design but with a great earning potential. You can download the app on your mobile device in few seconds in either one of the OS, Android or iOS. You can find hundreds of best bitcoin apps online. As you can see you can find many bitcoin apps including, apps for trading online with live trading features. Or bitcoin payment apps to help you make payments on your mobile phone. And also bitcoin apps that enable you to earn bitcoin either by playing games or completing micro tasks. Choose which bitcoin app can suite your needs and how often you want to use it. Most of this best bitcoin apps can be found on App stores or Google Play and can be downloaded for free. And they are useful for most Android and iOS mobile phone users.